Traditionally, CMOs have not always been the top candidates when it comes to filling CEO positions. In 2012, marketing performance measurement company, The Fournaise Group, conducted a study which found that while nearly 90% of CEOs trusted the opinion and values of their CFOs and CIOs, 80% of them did not trust work done by marketers. However, the recent months have seen more high profile brand marketers take on the role of CEO. For example, Steve Easterbrook, chief brand officer of McDonald’s took on the role of CEO after Don Thompson stepped down. Easterbrook has long been credited with leading McDonald’s efforts to elevate its marketing, advance menu innovation and creating an infrastructure for its digital initiatives. Regionally, Malaysian telecommunication giant Digi also appointed Albern Murty who was once the CMO of the brand to take the reins of the company as CEO. Does this signal a shift in how stakeholders and board members are viewing the marketing function? 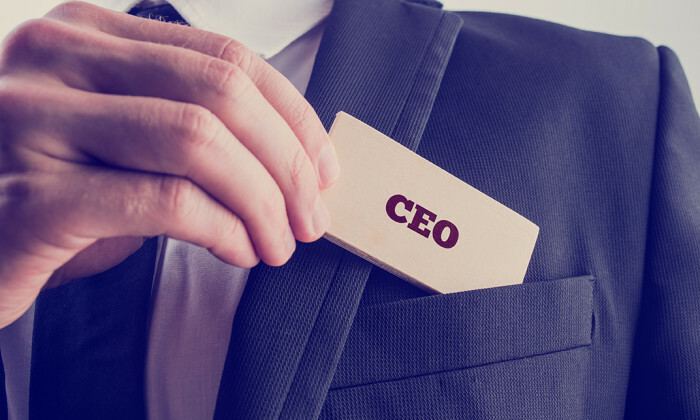 Should marketers be eyeing a CEO role? Priya Bala, regional director of marketing, digital and creative industry recruiter Font says that there are several aspects CMOs need to catch up on to fit the role. When in the CEO role, CMOs need to approach strategy and planning more holistically and develop greater commercial awareness, particularly in terms of financials. She explains that many senior marketers struggle with a lack of understanding of commercial operations and data. They also might lack a love for the financial aspects of the company, such as P&Ls. She adds that because it has been traditionally difficult to link marketing to direct sales conversions, the new age CMO-turned-CEOs will need to focus on data and understanding its complexities.They will need to effectively use data to demonstrate success and gain support of other C-level executives working outside the marketing department. Marketing earlier did an interview with former Great Eastern CEO Chris Wei, who previously rose from the role of CMO to lead the business. Wei told Marketing that it was his multifaceted technical, financial and risk-management background that helped transit him into the role effortlessly. “The ability to segment customer bases, demographics and such – you require a technical background to do that. It acted like a bridge to help me to do things like define certain customer segments that are actually actionable and then what you can do about it in terms of strategic marketing,” said Wei. An earlier interview with former Far East Organization CEO Lucas Chow also had Chow echoing similar sentiments. He advised marketers to have a mind for the business beyond marketing. “It would do a lot of good if the CMO of the company has a wider exposure than just marketing. You need to understand operations, products and what the company represents. A lot of them just come from agencies or purely from marketing and they shy away from the product or financial parts of the business. Therefore, the scope of the CMO becomes too narrow,” said Chow. The 2012 study by Fournaise Group study also reiterated the need for marketers to be more business savvy outside their “creative bubble”. The study said that 69% of B2C CEOs believe that their marketers live too much in their creative bubble which does not really generate more business-quantifiable customer demands. According to the study, marketers’ tactics are viewed as “interesting but not critical”. Jerome Fontaine, CEO and chief tracker of Fournaise said that it is not just a game of data but rather a “game of the ‘right & relevant’ data for the right purpose and the right decision making with no fluff around”. He added that marketers need to understand that they have to “cut the rubbish” if they wish to earn trust and have a bigger impact in boardrooms. What CMOs do have going for them is their people skills. This skill is an important edge in having a CMO turned CEO as they can easily connect with consumers and also motivate teams internally. “Marketing-trained leaders tend to be great communicators who can engage and motivate people both in and out of the organisation. They will be able to influence and communicate the right marketing messages throughout the company,” says Bala. Also in a marketing position, teams and individuals are trained to listen to the consumer demands and track conversations. When elevated to the CEO role, individuals can harness this skill to further listen and find a solution that addresses the needs of their organisation while keeping board members and stakeholders happy. They are natural mediators. Because CEOs are so often seen as the key brand ambassadors of a brand, they also need to have thorough understanding of the changing media landscape. If a CEO were to come from a previous marketing role, they would already be trained to be ahead of the curve in understanding the media today. This understanding is vital for the right etiquette for interaction. As a CEO with a CMO background, they already have these skills ingrained in their DNA, explains Bala. Read also: Should CEOs tweet? Recently, scientists at Carlsberg Laboratory found one of the very first Carlsberg beers brewed with the original pure yeast from ..